It is a set of coloring 22 pieces. Download PDF data on your PC, Please print on your favorite paper and enjoy. ※ Please note that there is no shipment of goods 【About the work】 ・ Bear and car ・ Bear snowman's snow globe (postcard) ・ Bear's amusement park ・ Bear's bathroom ・ Bear's breakfast ・ Bear's Christmas bed (postcard) ・ Bear's lemonade stand ・ Bear's party preparations ・ Bear's stroller ・ City of Rabbit ・ Pig's Bedroom ・ Pig's Christmas trees ・ Rabbit angel's snow globe (postcard) ・ Rabbit reading ・ Rabbit's ballerina ・ Rabbit's birthday party ・ Rabbit's Christmas tree ・ Rabbit's farm ・ Rabbit's ginger cookie ・ Rabbit's Halloween ・ Rabbit's seaside cafe ・ Rabbit's train Except for "post card" and special mention, it is easy to paint when printing in A4 size or larger. 【About the use of data and printed matter】 ((There are no restrictions on the minutes you can enjoy individually)) · Please do not redistribute, assign or sell data or printed matter. · However, this is not the case if you are enjoying it individually, such as presenting the completed work to a friend. · You can publish the completed work on the web. 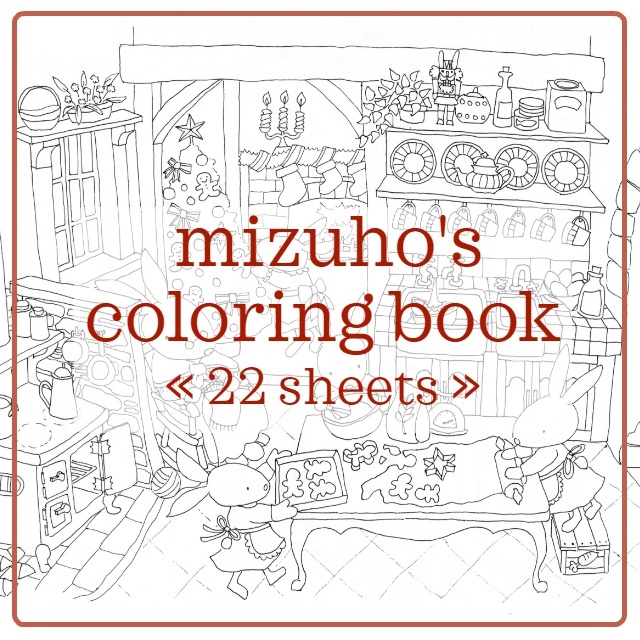 · Posted to Instagram If you tag "#mizuho's coloring book" you will be encouraged! 【About purchase】 · After ordering, you will receive an e-mail containing the download URL in the registered e-mail address, please download it by clicking there. · Please download on your PC. Mobile phones, smartphones, tablets, etc. may not be downloaded properly. 【Please come and visit Instagram too】 mizuho_s http://instagram.com/charadb #mizuhoscoloringbook #みずほのぬりえ Thank you.